For the umpteenth time in his two terms as governor, on Wednesday Martin O’Malley again touted that Maryland’s public schools had been No. 1 in America for five years running from Education Week magazine. 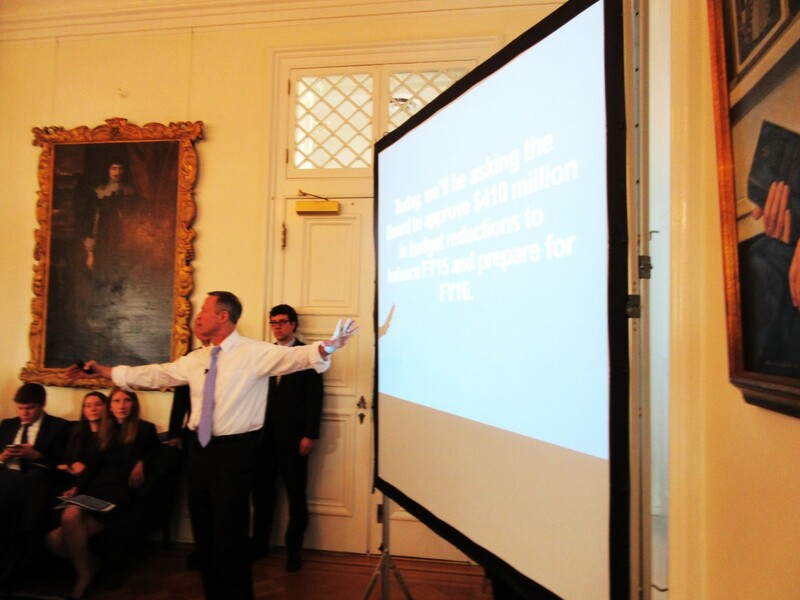 His PowerPoint presentation describing $400 million in budget cuts led with that ranking, and he emphasized that he was making no cuts to school aid. But Maryland’s schools slipped a notch in the Education Week report card released Thursday, tripping to third place behind Massachusetts and New Jersey. Even the five states at the top of the class got just a B grade from Education Week. “The nation as a whole receives an overall grade of C and a score of 74.3 out of 100. That marks a decline down from a C-plus and a 76.9 in 2013,” says the Education Week Research Center. Overall, Maryland scored 85.2, while Massachusetts, its traditional rival in these rankings, was one point ahead at 86.2, New Jersey nosed ahead with 85.5 and Vermont was fourth at 83.0. Massachusetts went up 1.1 points from 2013, and New Jersey went up 4.7 points. Virginia fell out of the top 10, dropping from fourth place in 2013 to 12th place this year, down 4 points to 78.7. The Education Week report week report has frequently been criticized in the past for emphasizing state spending and policies over actual performance by students. This year’s report finds that Maryland is No. 2 for student achievement with a grade of B. It ranks sixth in the nation on spending, earning a B+. The Chance-for-Success score ranks Maryland seventh in the U.S. with a B. Chance-for-Success is determined by factors largely outside the school, including income levels, employment and college education for parents of students and the adult population. Student achievement is ranked by 18 different factors. Maryland gets its worst ranking on the achievement gap for low-income students — 37th on 8th grade math gap — but ranks much toward the top in closing that achievement gap. It ranks No. 1 in the nation for advanced placement test scores. For the fourth year in a row, Maryland public schools have come out on top on the annual state-by-state report card published by Education Week magazine. Maryland earned its top place with an overall B+ grade, compared to a C average for the nation as whole.